Go that is called a ‘C for the 21st century’ was designed in 2007 to address some of the industry problems. 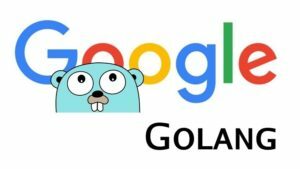 Today, many well-known companies like Google, Adobe, Facebook, IBM, and many more use Go. They use Go, because of its simple approach to implement complex concepts. This practical course will enable you to build simple, reliable, and efficient software, delivering basic to advanced concepts using Go. The course is over 23 hours, including 160+ lectures, over 163 code examples, chapter assignments and a final assignment. Emphasis has been placed on reviewing code examples, diagrams and white boarding. The course gradually moves from basic to advanced topics and eventually ends with a final assignment. In 16 sections, it covers topics such as language fundamentals, control structures, arrays, slices, maps, functions, callbacks, closures, pointers, structs, interfaces, concurrency & parallelism, goroutines, channels, packages, documentation, error handling, unit testing, json, files, reflections, MySQL, and may more.